In addition to taking part in the world-wide meditation I will, as last year, be honouring the Dragons by working on my next Dragon mask — Dragon of Air — which will be completed at my Sydney Pagan group’s Beltane retreat held from 6th to 8th of November. 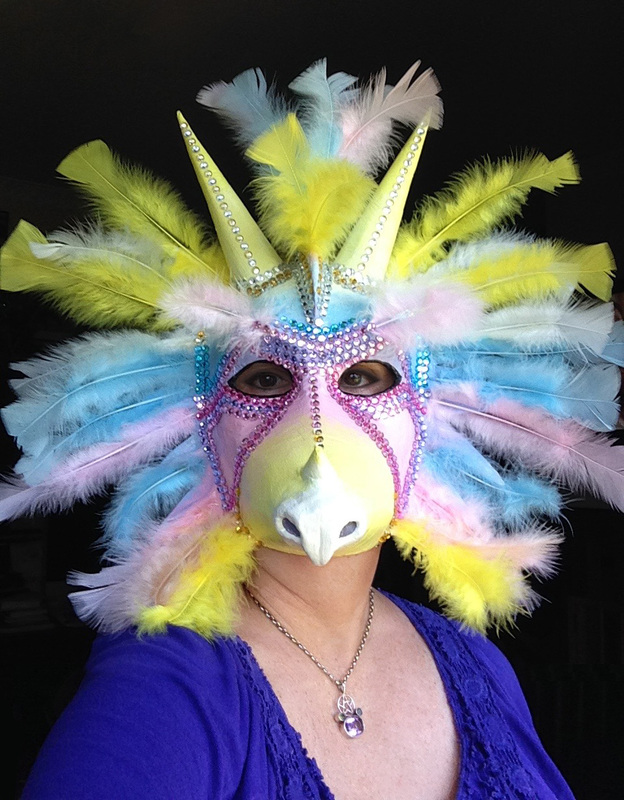 I’ll post photos of my mask here along with photos of my WDD 2015 altar etc. 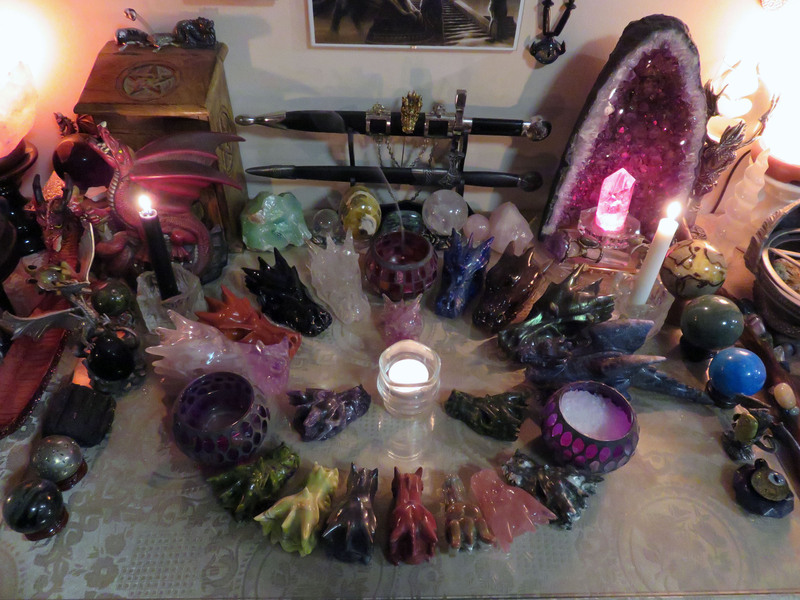 This year my altar includes 3 bowls, one each of water for the Dragon of Sea (Realm of the Past), salt for the Dragon of Land (Realm of the Present), incense for the Dragon of Sky (Realm of the Future) and a candle in the middle to represent the Sacred Flame. Due to time constraints and many other commitments I didn’t manage to start this mask on WDD but I did at least think about it then and get a few ideas for how it might finally look, before finally getting the construction underway on 4th November (just 2 days before the Beltane retreat at which I planned to complete the mask). Details of how the mask was made can be found here. 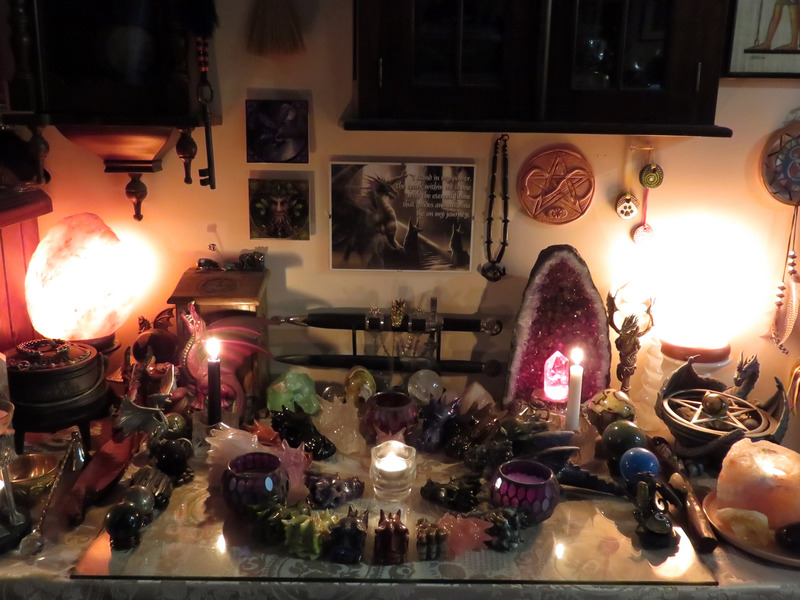 This entry was posted in Dragon Meditations, World Dragon Day and tagged dragon magick, Dragon Meditation, World Dragon Day. 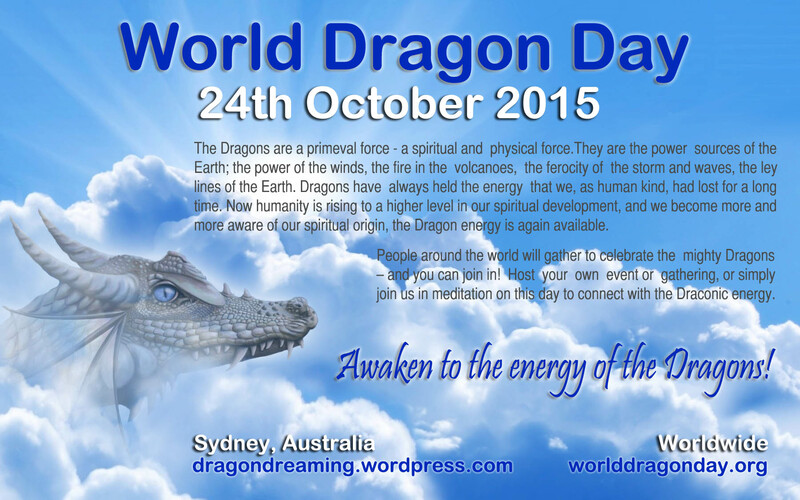 I just found your blog today as I was preparing for World Dragon Day at 7:00p. I am impressed with the range of information you have collected all in one place and also the look of the pages. It was fun scrolling through the articles. Keep up the good work.